A350 XWB News: Airbus studying A350 production rates higher than 13 per month. Airbus studying A350 production rates higher than 13 per month. Airbus seeks a production rate of 10 aircraft per month by 2018. Beyond that, Airbus is studying to increase the rate “in less than 5 additional aircraft per month". The decision will be made in 2016. While Airbus has in place a ramp up with a rate of 10 aircraft per month by the year 2018, the group will decide next year on the possibility of increasing the rate after 2018. "John Leahy and the market would like that we increase our production rate faster. We have already defined the first 4 years of the ramp-up. It is similar to what our competitor. We already try to achieve this goal. We will decide by 2016 to review upwards our planning. But we are not talking about very high ratios. It is less than 5 additional aircraft per month", said Didier Evrard, Head of Programs. A production increase of 3 or 4 aircraft per month for example would allow Airbus to deliver 36 or 48 additional aircraft per year, or 156 to 168 aircraft annually. Based on the article “Airbus étudie le projet de construire près de 150 A350 par an” published in La Tribune. Any news yet of the A350-900LR? This is what Singapore Airlines wants for its Singapore / New york route. Stopped the A340-500 because of fuel costs. Singapore Airlines has long been a very good customer to Airbus-it has now asked both Airbus and Boeing for an aircraft for this route. The A350-900LR would be ideal,only if Airbus gets its finger out and sorts it out FAST. 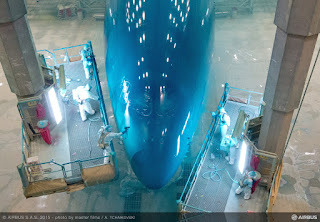 I have to say, Airbus reacts like a bureaucracy-so I think Singapore Airlines will go for Boeing. 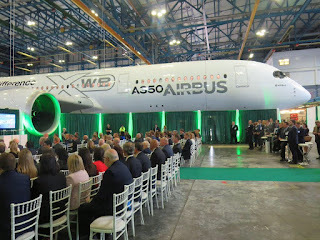 Just seen a Sunday Times Article from the 19th july stating that Airbus will build the A380neo. With different wings and new engines, at a cost of 3 billion euros. Well technically you're not speechless :) While it seems like an even fit to make a A350-900LR, there's no time table on such an aircraft, how much it would cost nor when it would or could be available. In respect to Boeing, they could offer them the 778, which while being 7 years away from flying, is defined and SQ already flies a good number of the 77W model. The biggest deterrent for the Airbus product is getting them out of the door fast enough. My conclusion is that on the surface the A350-900LR looks like a winner but if SQ wants a plane sooner, even if it slightly LESS efficient than the LR, it'll go, IMHO to the Boeing offering. 1st Spanish crew onboard A350. 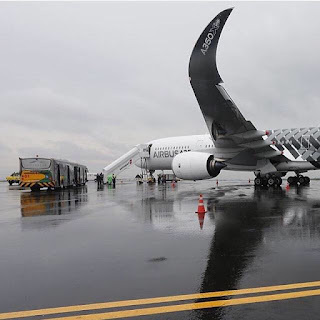 A350 parts made in Portugal. If the A350 ramp-up was more aggressive …. 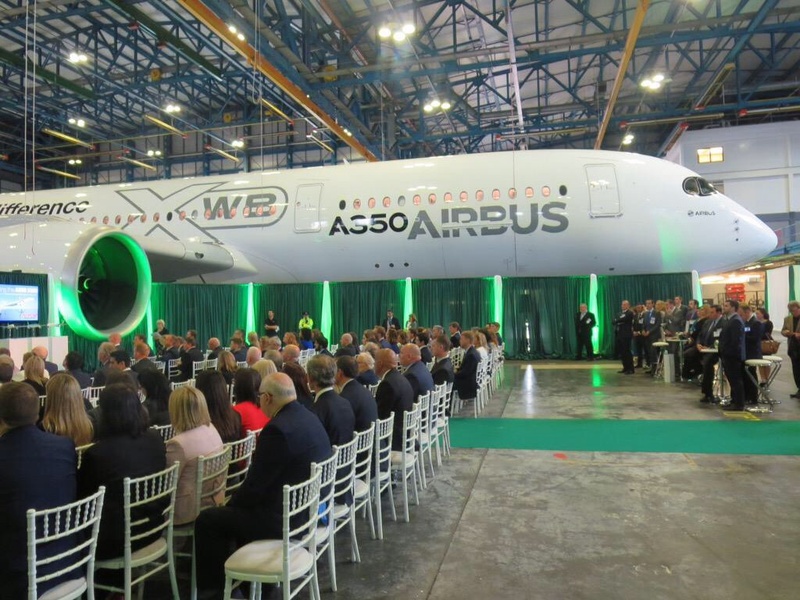 Airbus working to increase A350 seat capacity.